A mentor is a person who guides a less experienced person by building trust and modeling positive behaviors. An effective mentor understands that his or her role is to be dependable, engaged, authentic, and tuned into the needs of the mentee. Our team relies on the help and support of mentors. Mentors come from all walks of life, and fill both technical and non­technical roles. Q: Must I be a Woodland parent to be a mentor? A: No! Some of our mentors are parents of Woodland students, but some are not. We desire mentors who have a passion for working with students and who encourage them to learn and develop new skills. To find out more information about mentoring in a FIRST Robotics team, see the FIRST Robotics Competition Official Website. 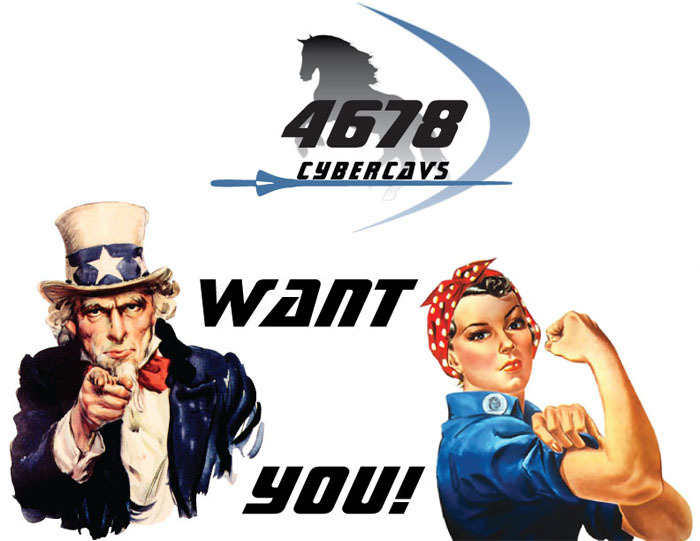 Contact us if you are interested in mentoring the CyberCavs by contacting Maurice or Jen.